Former Defense Secretary Jim Mattis is returning to his previous role with the Hoover Institution — a think tank located on Stanford University’s campus. 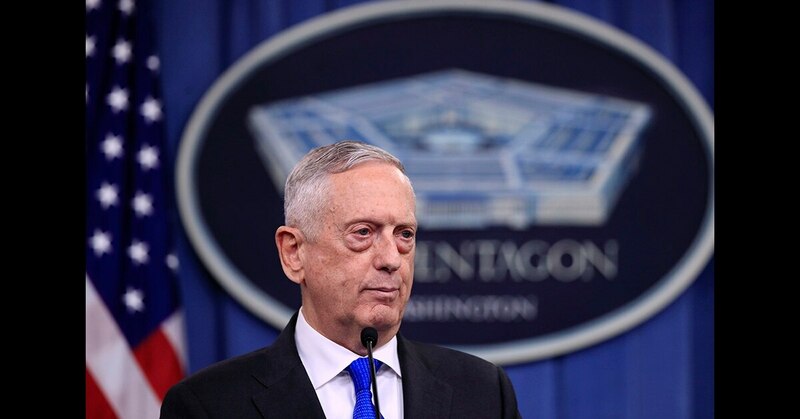 Mattis will be researching and writing about domestic and international security policy, as well as participating in military and national security events in California and Washington, the think tank said in a press release Tuesday. Mattis will serve as the Davies Family Distinguished Fellow at the Hoover Institution. He previously served as the Davies Family Distinguished Visiting Fellow until being confirmed as the 26th secretary of defense in January 2017. Mattis — who preferred the call sign "Chaos" — has been fighting the "Mad Dog" moniker for at least 15 years. Mattis completed a 43-year career as an infantry Marine, in addition to his tenure as a DoD civilian. He led an assault battalion in Operation Desert Storm, commanded troops against the Taliban in southern Afghanistan and served during the invasion of Iraq and subsequent stability operations. Mattis commanded U.S. Joint Forces Command, NATO’s Supreme Allied Command for Transformation and U.S. Central Command as a general. He was succeeded in his role of leading the Pentagon by Acting Defense Secretary Patrick Shanahan.